Calling all artists, writers, musicians and dreamers!! Storied artistic sanctuary less than 2 miles to the center of Woodstock and beautiful Cooper Lake-- here are three structures including a 3 bedroom, 2 bath updated 1850's farmhouse with a new gourmet kitchen including Viking range and Big Chill refrigerator. There are newly updated bathrooms; in the master bath a claw foot bathtub sits under a skylight. The living rooms' wood burning fireplace faces towards a vast meadow framed by Bearsville mountain views. Dramatic impact is added to the generous family room with its 16' wall of windows. A cozy and historic writers cabin sits above a babbling creek. The wonderful 1000 sq. Ft âparty barnâ with its north light window wall, skylights & 20' ceilings offers myriad uses. Bordering the meadow nearest the house is a sweetly flowing creek. This natural wonder nourishes the bird & wildlife and provides constant pleasure for all. In good weather creekside is a peaceful location for enjoying the sound of the bubbling brook and views. 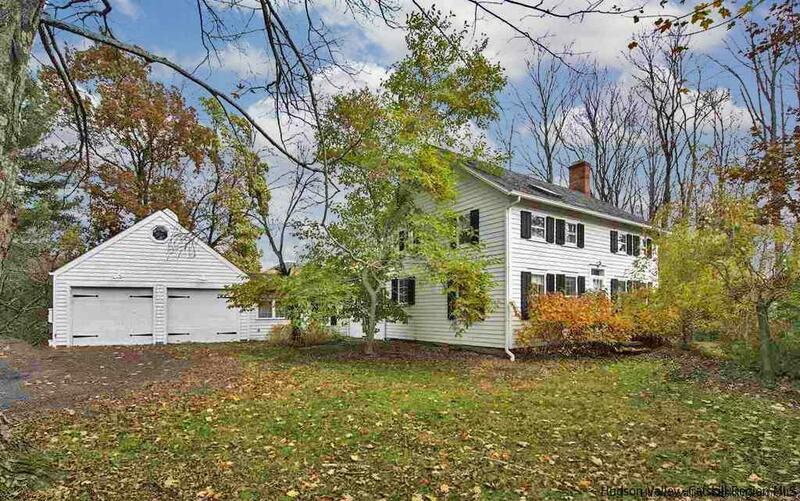 Truly, here is a quintessential Woodstock home. The updates have kept the integrity of the original charm & local history. This well loved home is being offered to new owners who will continue to enjoy the beauty & energy which permeate every aspect this special property. Selling Office: Gary Dimauro Real Estate, Inc.